Marathon training is going well. I have not hit any big miles yet. If I was really following the plan I would still be running less than normal. One of the reason I hesitated about writing a blog is what do you write about when you have no races, no new restaurants, no travel and your life is routine. So here are a few of the things I’m loving now. 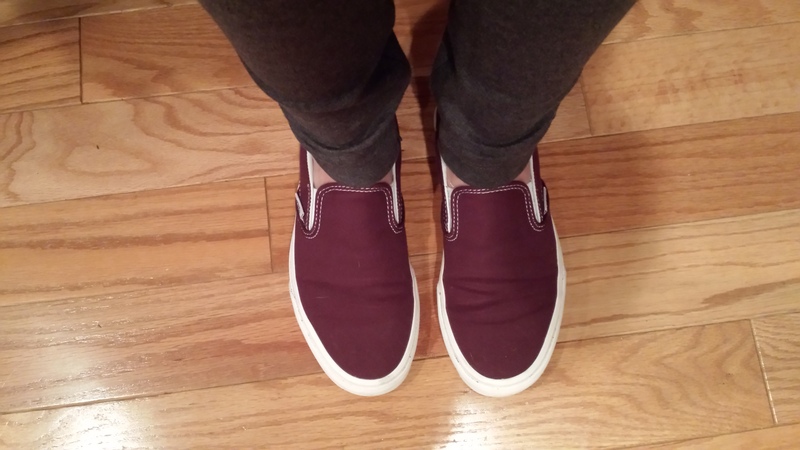 I love my new Vans. It has been a long time since I owed a pair and I love the color. Also in this picture are leggings from the Gap that I love. They are not thin and fit me very well. I bought them in black and grey. Lunches are always tough for me, but I have been eating Safeway individual salads and wraps that are very good. This and a piece of fruit is a great lunch. They are $2.99 each if you buy 3 or more. 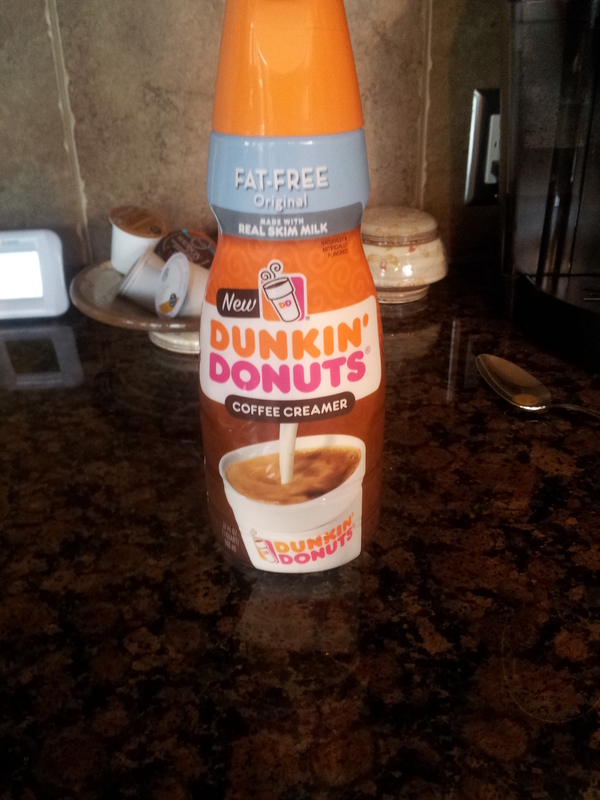 This Dunkin Donuts creamer is awesome! It’s slightly sweet, so I don’t have to add sugar to my coffee. And it feels like a piece of home. 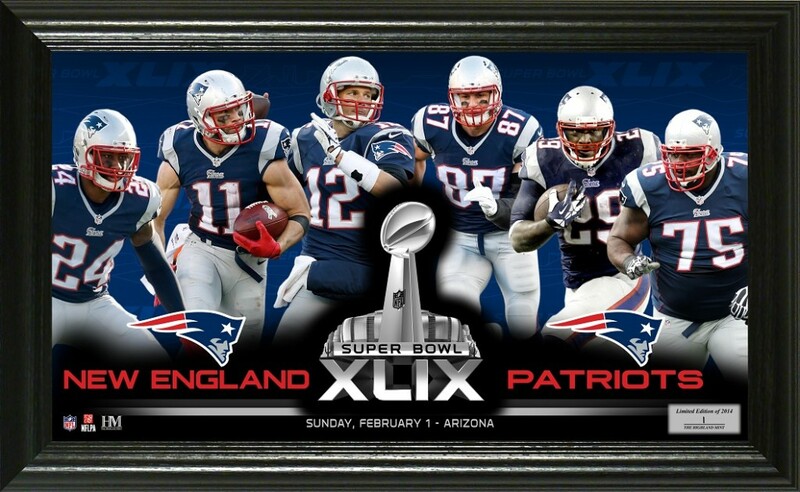 It has been 10 long years since the Pat’s won a Super Bowl. As a huge Pat’s fan it has not been easy living in Seahawk’s territory. It was a great, nail-biting, edge of your seat game. Even with the snow, I wish I could be in Boston on Wednesday for the parade. Are you going to the parade? Send me pictures! This entry was posted in Uncategorized and tagged Dunkin Donuts, Gap, New England Patriots, Super Bowl, Vans. Bookmark the permalink.